Have a new iPad or getting one soon? Learn how to use it in the Master Class. Apple’s iPad is once again making news and breaking sales records. Whether you’ve purchased the newest iPad or given a previous model a new home, you’ll want to make the most of it. The iPad Academy Master Class will give you the skills you need in a convenient and comfortable online format. iPad Academy Master Class is based on the same hands-on lessons I teach in my most popular beginner’s workshop. The Master Class video series will introduce you to the iPad, including settings, navigation skills and app fundamentals. You’ll learn simple shortcuts and time-saving tips to make your iPad more functional and more fun. 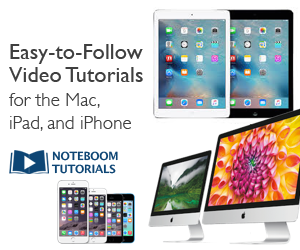 You’ll get 21 easy-to-follow video lessons. You’ll have access to the videos for two full months. So no need to worry if you can’t start the course right away or you need to skip class for a while. Your video lessons will be waiting for you when you log back in and you can watch any video as many times as you want. There is a fee for the class. I’ve kept the cost low because you deserve a good value and I want to help as many as I can to enjoy using the iPad. I’ll continue to offer free content here on the iPad Academy blog, but only those who register will have access to the premium content of the Master Class. Registration for the Master Class will open this Wednesday, March 21. Beginning this Wednesday, you’ll find more info here on the blog, including directions for how to sign up and access free sample videos. I have iPAD 1 with me. The video lessons apply to all models of the iPad. There are only a few exceptions to this. For example, multi-finger gestures. You can learn a little more about these gestures in this video. A few of these are demonstrated at 4:45.